The kings of Pallava, Chola, Nayak, Maratha, Arcot Nawabs and Bijapur Sultan Kingdoms had being the privilege seat of Vellore. 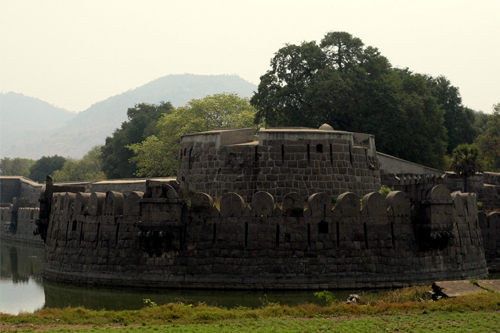 The Carnatic War was described as the best and the strongest fortress during 17th Century . It was witnessed the massacre of European soldier during the mutiny of 1806. 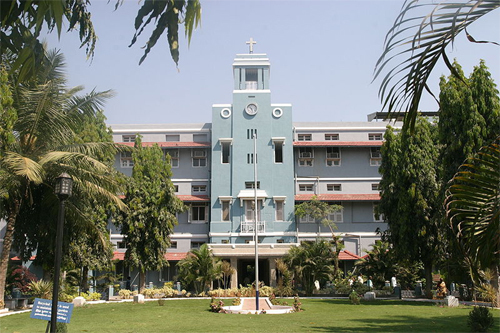 In Tamilnadu, the Vellore district lies between 12° 15’ to 13° 15’ North latitudes and 78° 20’ to 79° 50’ East longitudes. The geographical area of this district is 6077 sq. k.m. The total population as per 1991 Census is 30,26,432. The vellore district is well connected by Railways and bus routes to major towns of the neighboring states like Andhra Pradesh, Karnataka and Kerala. The history of the District assumes a great significance and relevance, as we unfold the glorious past. The Monuments found a vivid picture of the town in this district give through the ages. Some of the decisive battles fought in Ambur 1749 A.D., Arcot 1751 A.D. and Vandavasi 1768 A.D. during 18th Century. In the Vellore District as a result of the long-drawn was the scene of struggle between the English and the French for Supremacy. The Fort is One of the monuments in Vellore. In during the rule of Chinna Bommi Nayak (1526 to 1595 A.D.) a very close examination of the stone inscriptions suggests that the Fort in all probability might have been built. In South India the Fort is one of the most perfect specimens of Military architecture. Inside the Fort the Jalakandeswarar Temple is a very fine example of Vijayanagar architecture. In 1928 A.D the clock tower in the long bazaar, was built. In village 277 men went to the great War 1914-18, of them 14 gave up their lives. As more and more men have enlisted themselves to the Military service, to serve the national indomitable spirit and courage gave a outstanding performance of this district in contributing to the Military service is commendable,.in Vellore this is a recorded testimony and Military powers of men of this area. A Mahalakshmi temple called 'Sripuram' and made of more than a tonne of pure gold will glitter and gleam under the sun on August 24 when it is unveiled for consecration by the Sri Narayani Peetam headed by a 31-year-old godman who calls himself Narayani Amma. 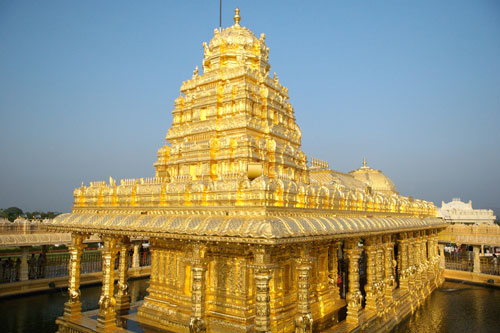 Devotees hail the temple as 'one of the wonders of the world' and say that it is the only temple covered fully with gold.